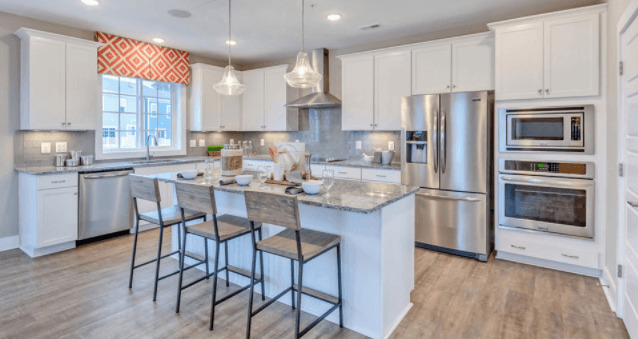 Whether you're planning to buy your first home in Prince William County or moving up from a smaller or older home, we'd like to invite you to explore our brand new 2- to 3-bedroom condos and townhomes at Heathcote Commons. Located within walking distance to Harris Teeter and a short drive to The Promenade at Virginia Gateway, this established community is situated in a great school district and close to everyday shopping and dining. The convenient location of the neighborhood, the placement of the home sites, the carefully chosen home designs, and all the added amenities, were chosen with your lifestyle in mind. As a Heathcote Commons resident, you'll enjoy full access to a clubhouse, pool, playgrounds, fenced dog park, and walking and hiking trails. The good life awaits you at Heathcote Commons!